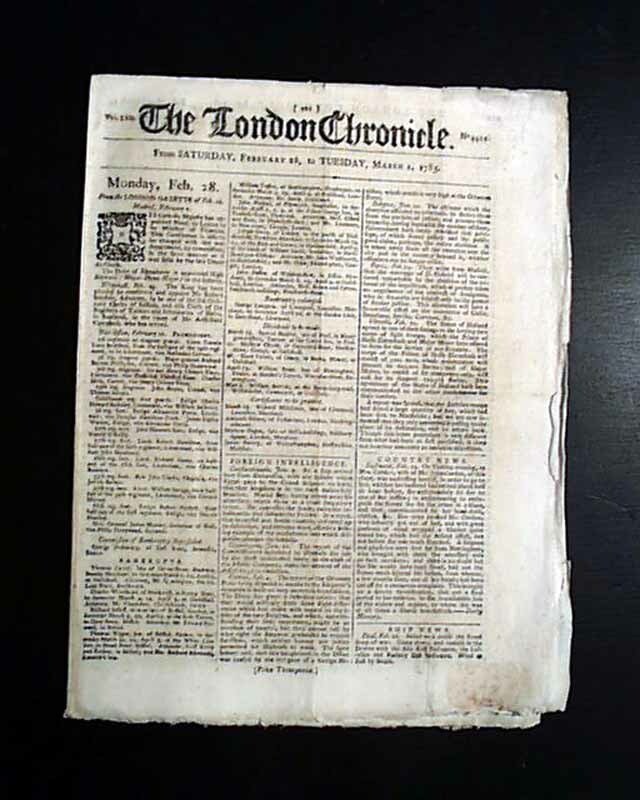 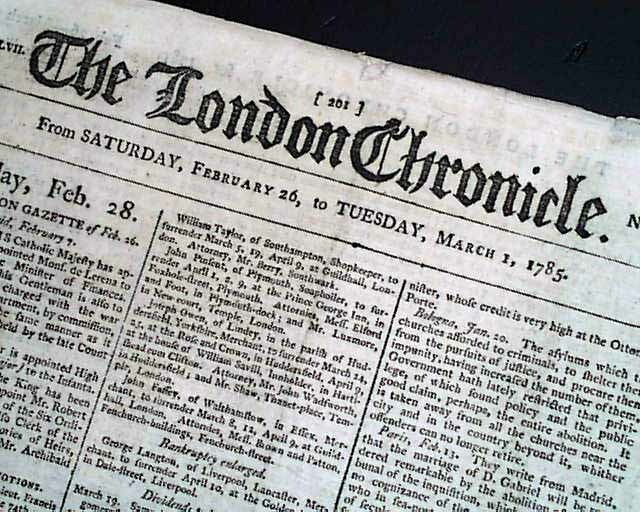 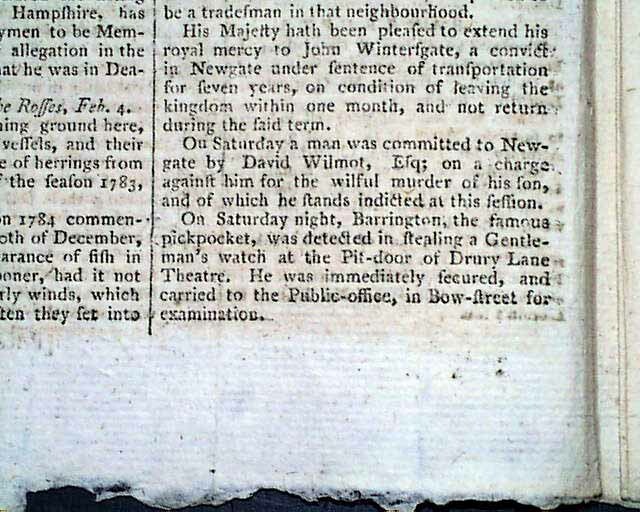 THE LONDON CHRONICLE, March 1, 1785 The third column on page 202 contains the report of George Barrington stealing a watch at the Pit-door of Drury Lane Theatre (see background below). 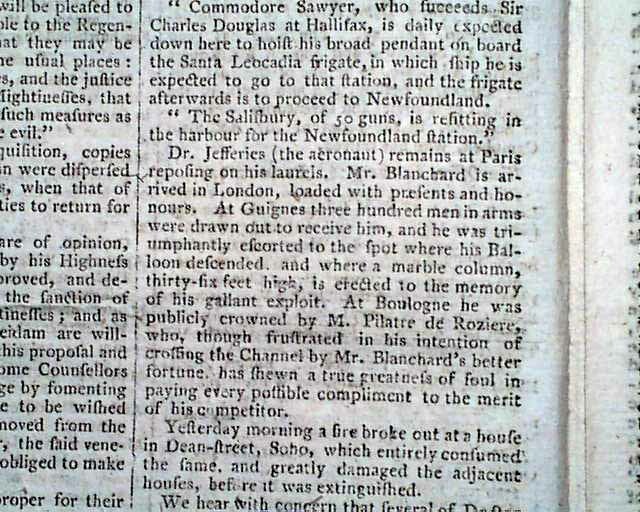 Page 202 also contains news regarding aeronauts John Jeffries and Jean Pierre Blanchard (balloonists). 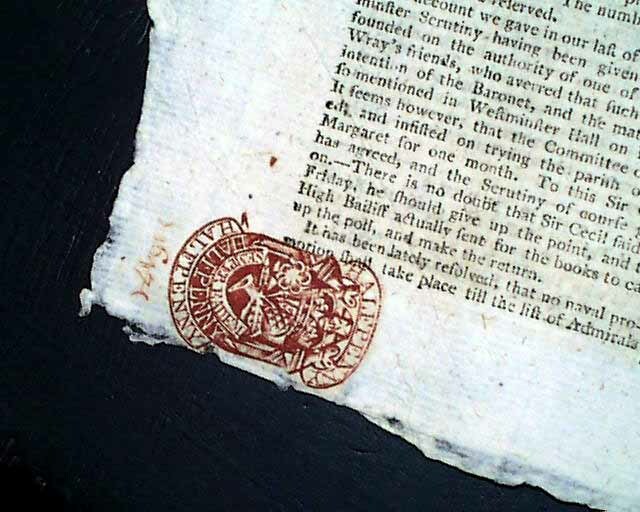 Complete in 8 pages,nearly full red ink tax stamp, and is in nice condition.